Tina Fey, the writer of the 2004 film ‘Mean Girls’ and now the book writer of the hit Broadway musical of the same name, hosted Saturday Night Live last weekend. Fey played high school calculus teacher Ms. Sharon Norbury in the film, who is now played by Kerry Butler on stage. Watch the video to see how she tries rehearsing with the cast and how she compares herself to Lin-Manuel Miranda, who both created and starred in the Broadway musical Hamilton. 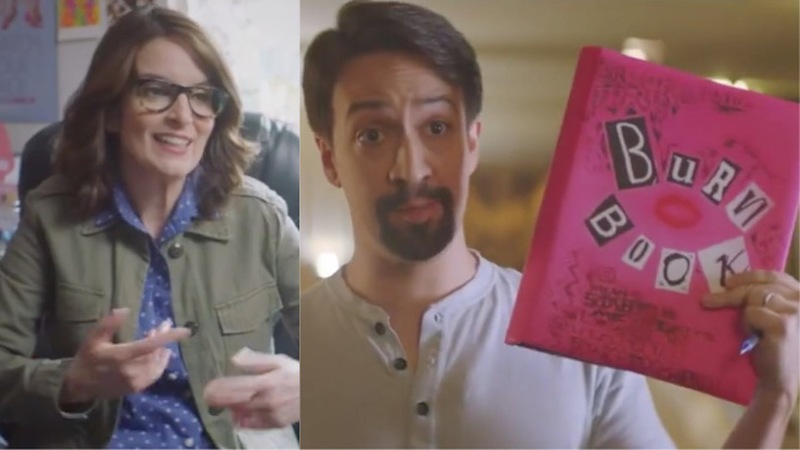 ‘Mean Girls’ led this year’s Tony nominations (tying with ‘SpongeBob Squarepants: The Musical’) with 12, including Best Best Book of a Musical for Tina Fey and Best Musical.